Following the recent terror attacks in Sinai, some tried to portray the violence as an armed insurgency in response to July 3 coup against Morsi. Sinai militancy, however, has been ongoing before Morsi, continued during his tenure, and after his ousting. Here is a summery of main events since 2004. Bomb blasts at Egyptian resorts in South Sinai, in which at least 28 people died. Seven people were killed in a deadly attacks hit Israeli vehicles near Egypt. August 2011. Militants infiltrated Israel from Sinai, opening anti-tank fire against Israeli building killing at least one. June 2012. An attack security headquarters in Sinai town of Al-Tor killed two, and injured 48. October 2013. 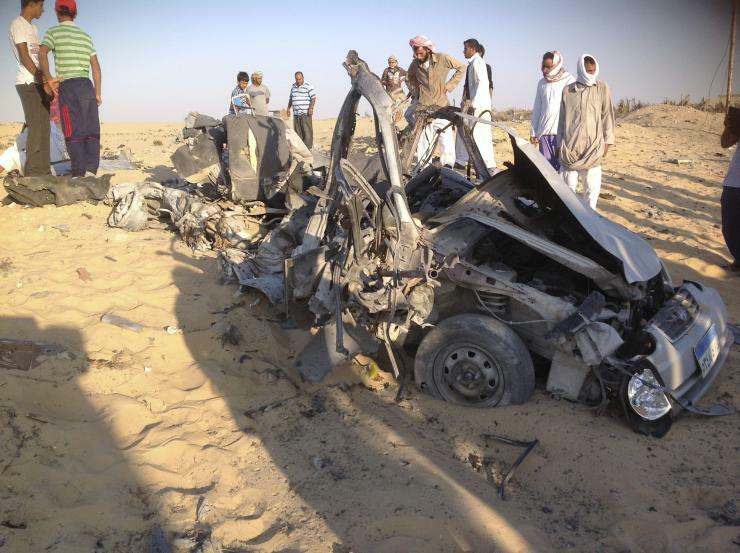 A bomb attack on a tourist bus in South Sinai killed three South Koreans and an Egyptian. February 2014. A car bomb outside a fast-food restaurant in al-Arish wounded 10 civilians. November 2015. This entry was posted in Diary of Aak, Egypt and tagged Egypt, Morsi, Mubarak, North Sinai, Sinai, Sisi. Bookmark the permalink.